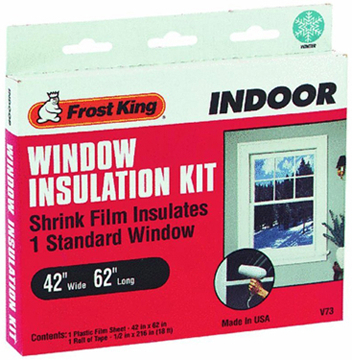 Can be used on aluminum or wood frames to stop drafts. Creates an air pocket between the glass and the transparent film. Shrinks tightly with a hair dryer.